Singapore G Pte Ltd was established in 1973 as Singapore Godown Pte Ltd. We have been growing continuously in the Singapore business scene since then. 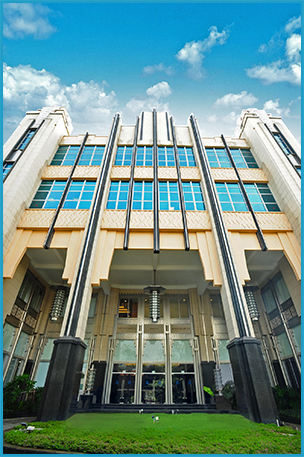 From the humble beginning of a trading company along the Singapore river, we have moved into our own 180,000 sq.ft. industrial-commercial building in 1998. The Singapore Godown building was awarded a Certificate of Merit for Best Buildable Design by the Building and Construction Authority in 1999. Singapore celebrated its Golden Jubilee in 2015, marking the nation's 50th year of independence. That same year, Singapore Godown Pte Ltd rebranded itself as Singapore G Pte Ltd. A refreshed Singapore Godown Building was renamed Singapore G Building. Together with other steps taken to prepare itself in the digital age, Singapore G is ready for the next level of service requirements. Singapore G understands the needs and the challenges a business faces from a fledgling start-up to maturity. Just as Singapore continually evolves to meet today's global challenges, Singapore G has done the same to survive the competitive environment. We are the first to revolutionize business models by building a Grade-A space in an industrial area. Singapore G has also revolutionized business models by providing flexible Grade-A space at an affordable price to small businesses where one can bring clients in for discussions with confidence. Contact us today to see how we can meet your total space requirement to grow your business.